Condition - Good. Special Edition 50th Anniversary, ZING Putter. Black dot. No headcover, has a small dink to the leading edge. Condition - Very Good. IsoForce Special Edition Darby F Putter. No headcover, titanium face insert. Condition - Fair. IsoForce B60 F putter. Does not include a headcover. Has pitting to the shaft and light marks to the face. Condition - Good. A classic PING Anser putter. Does not include a headcover. Has minor dinks to top line and minor pitting to the shaft. Condition - Good. A classic PING Anser putter. Does not include a headcover. Condition - Good. A classic PING ZING putter. Does not include a headcover. Has light bagwear dinks to the sole. Condition - Well Used. A classic PING MyDay putter. Does not include a headcover. Has small marks / dents to head and face, a hard grip and a very good condition shaft. Condition - Good / Fair. A classic PING A-Blade putter. Does not include a headcover. Has a hard grip. Condition - Fair. A classic PING ECHO 2 putter. Does not include a headcover, there are small dinks to the head and face, the grip is hard and ripped and there is light pitting to the shaft. Condition - Good. A classic PING Kushin putter. With Slotline. Does not include a headcover. In 1959 Karsten Solheim created the first PING club, a putter the 1-A. The 1-A was the first putter with perimeter weighting and changed the face of golf. Things have moved on greatly since the 1-A. PING putters have now won more championships than any other putter manufacturer. inset for softer feel without compromising feedback. By removing material from the face to create the cavity and distributing it to other areas of the putter, the putter's inertia is increased. The result is a putter that not only feels better, but is also more forgiving on mishits. Isopur 2 models have tungsten weights in the heel and toe to further increase the perimeter weighting. The PING IsoForce series of putters feature a face insert consisting of 50 hexagonal-shaped pixels that creates exacting feel and feedback for the golfer. IsoForce models have a cast manganese bronze body with an Antique Bronze finish and an insert made from high-grade aluminium pixels. IsoForce 2 models have a stainless steel body with a copper pixel insert. The range of PING classic stainless steel putters include favourites such as the Anser2, B60, Zing2 and Pal2 (all major championship winners). PING Putters offer a solid feel and heel-toe weighting with a low centre of gravity. 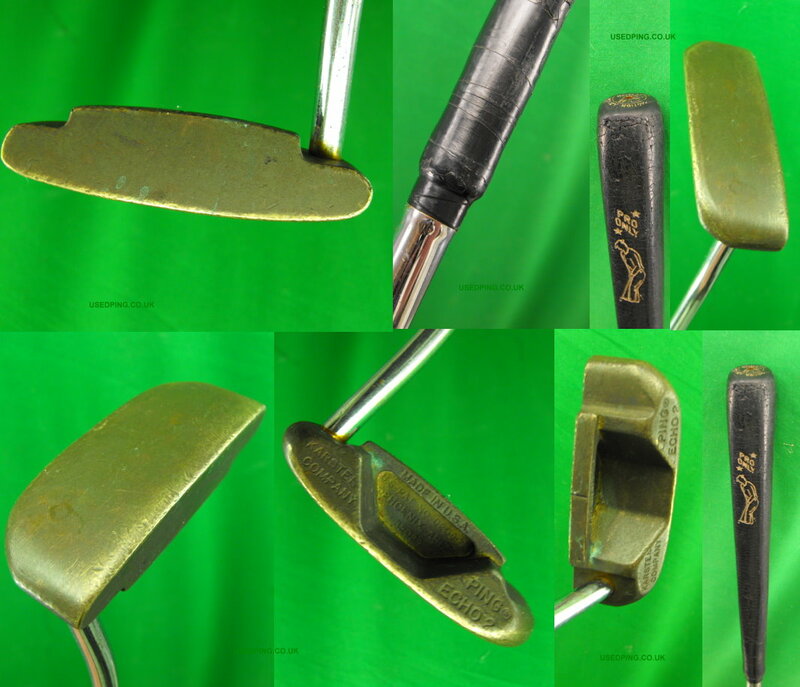 Karsten Solheim chose Manganese Bronze for PING's earliest models of Putters. Manganese Bronze was chosen for its feel and quality attributes, it tarnishes with age to create a distinctive look that symbolizes confidence and trust.